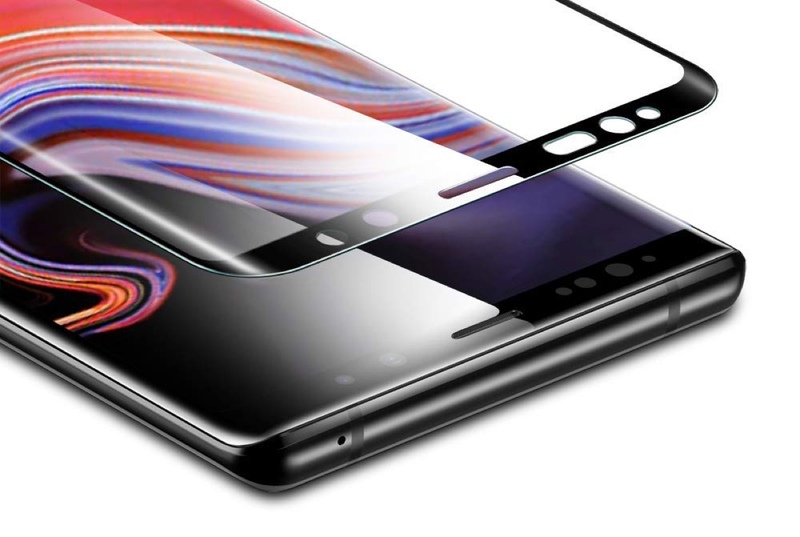 Here’s our top list of the best Samsung Galaxy Note 9 glass screen protectors available in the market today. 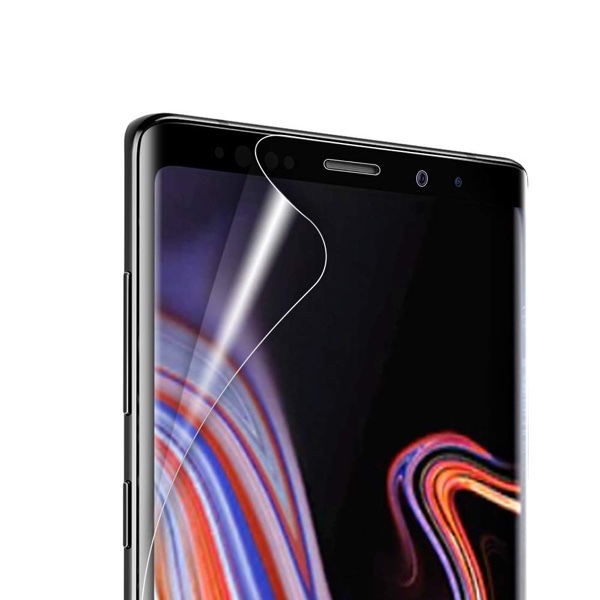 The Galaxy Note 9 features a massive AMOLED display that deserves all the attention it can get. Of course, that display comes attached with a steep price tag of $999, which means that you should consider giving it some sort of protection. 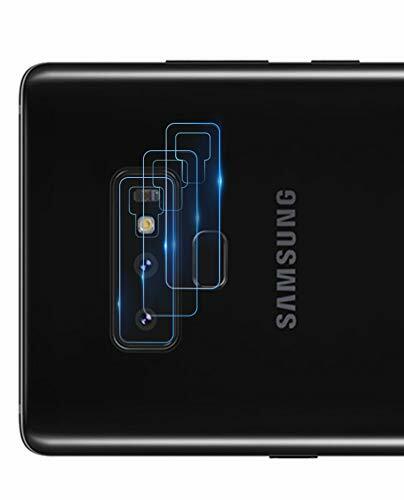 So, here’s our list of the best Galaxy Note 9 glass screen protectors available today. This accessory from ESR can withstand a force of up to 11 pounds, which is quite a lot. It offers full-coverage protection and comes in a 2-pack. So in case one breaks, or you mess up completely applying the first one, you can always jump onto the second. Don’t want to spend the extra money on a 2-pack? Then get the 1-pack from ESR. It’s the same option as above with no differences whatsoever except that it, you guessed it, comes in a 1-pack. 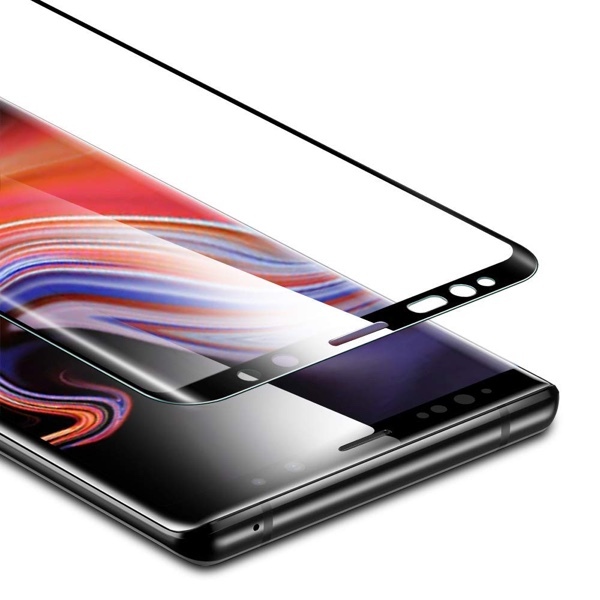 This option from AVIDET is thin at just 0.3mm and offers 9H hardness which means that it can easily take on keys and resist scratches without any fuss. It has an extremely low price tag too so you can pick up two of these easily. We know, we know, it’s a case. 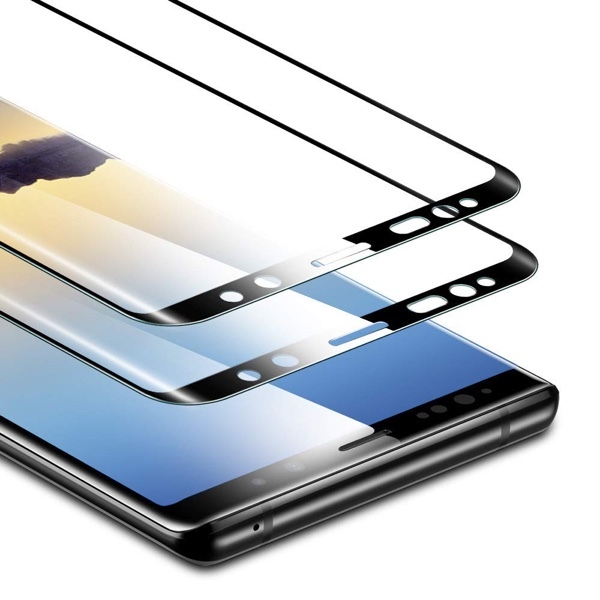 But if also comes with a built-in screen protector. So basically it’s a complete package if you want to buy everything in one fell swoop. 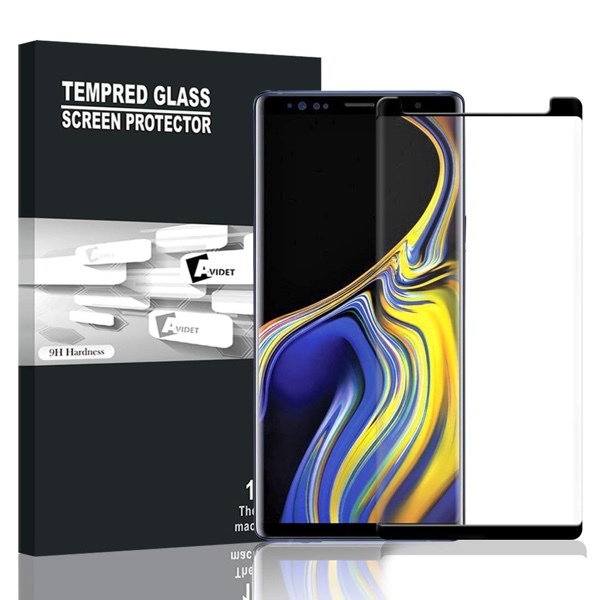 Though this is a list of ‘glass’ screen protectors, but this one’s note. We’re only adding it here for a sake of variety. It’s a thin film offering that is easy to apply thanks to the includes kit. It comes in a 2-pack so you can re-apply it again if you get it wrong the first time. This one’s not a glass screen protector either. 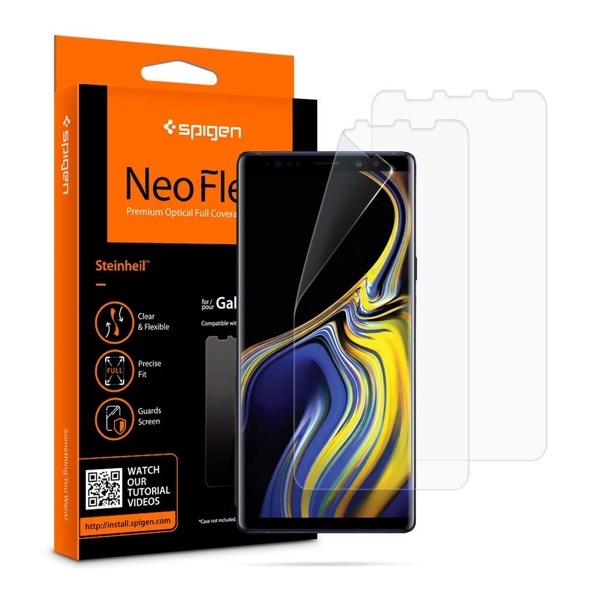 But, the NeoFlex has a reputation as one of the best screen protectors around. It has a unique method of installation and will definitely go a long way in serving you. 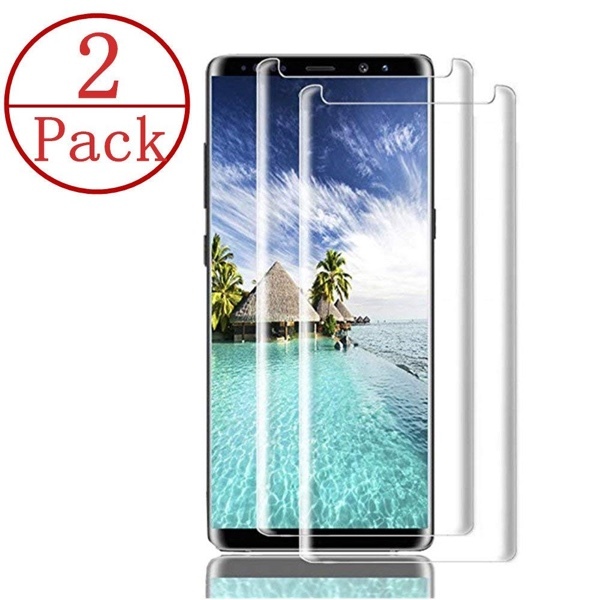 It’s a 2-pack for a price of just $12.89 and does what a glass screen protector should. Guess nothing can go wrong, right? Pretty expensive and pretty good at the same time. 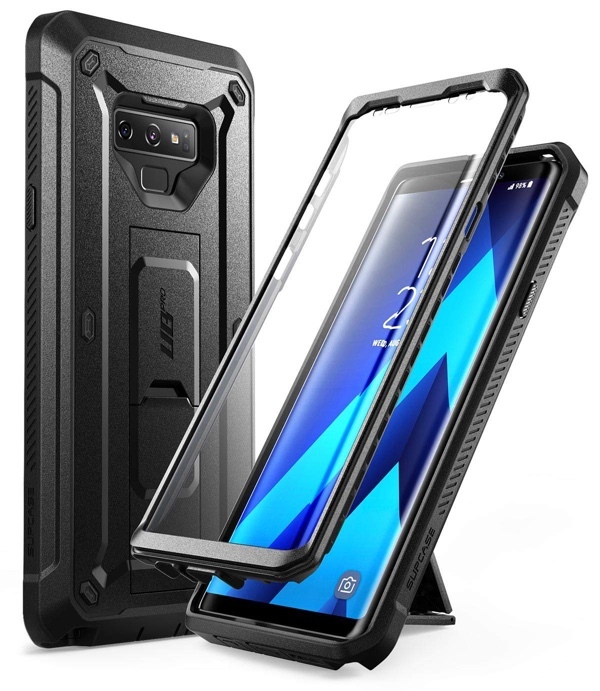 Topped off with a unique application method, this is the protector to get if you’re not willing to take any chances with cheaper options out there. 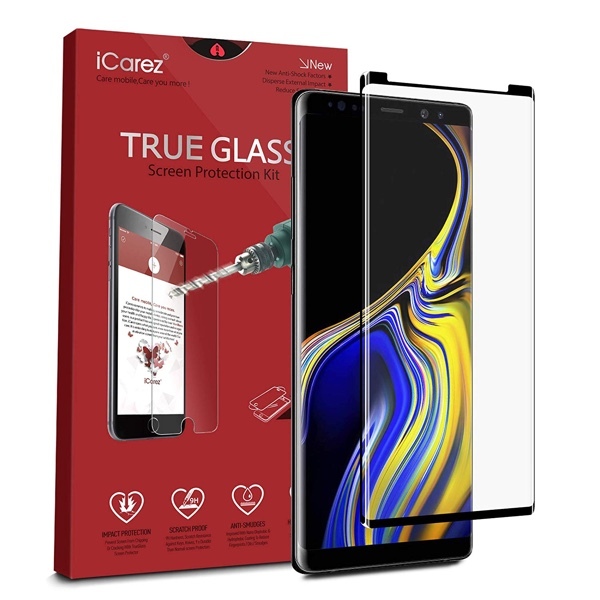 I’d go as far as saying that this is the ‘Apple’ of screen protectors. You know it’s good when the box says ‘Caseology’ on it, right? So yes, you can have full confidence in what you’re buying here. 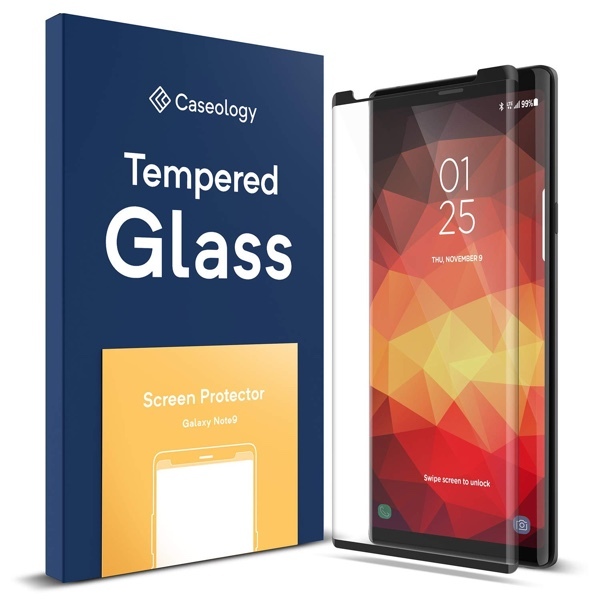 It’s cheap, ticks all the right boxes, is case friendly, extremely thin, offers visual clarity of a high-end protector. Guess this will do too. 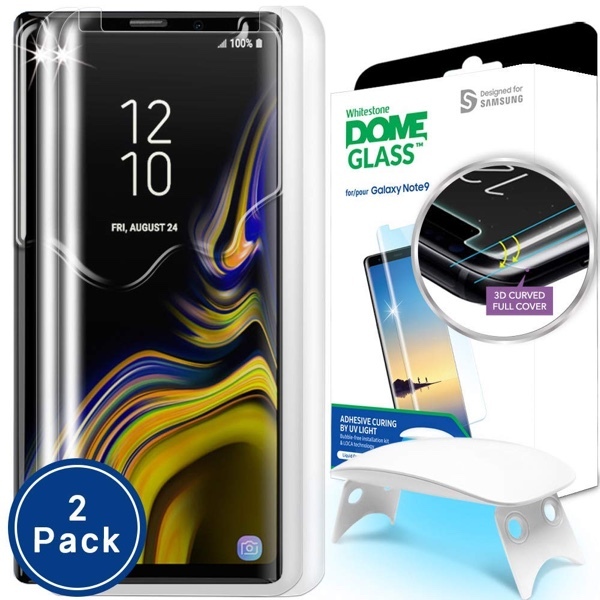 Want to protect that precious dual-lens system of the Galaxy Note 9 with a glass screen protector? Yup, it’s a real product and comes in a 3-pack.